Tresu Group's new XL5i Coating Circulator ensures precisely regulated, stable flow, and uncontaminated print and coating, when applying sensitive UV and water-based varnishes for packaging and label applications. 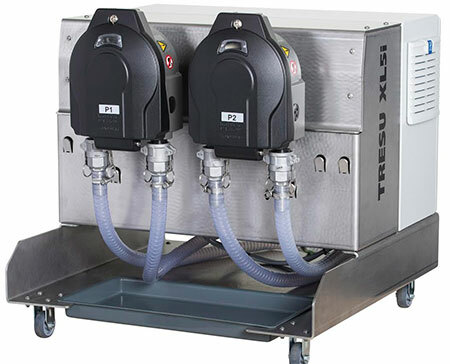 A compact system with two speed-controlled peristaltic pumps, Tresu XL5i is easy to operate thanks to semi-automatic cleaning and timer settings. Used in combination with a chamber doctor blade and customized open-cell anilox roll, Tresu XL5i provides fully enclosed circulation from the bucket to the point where the ink or varnish fills the anilox cells, thereby enabling pressure and control needed to delicately handle the medium. 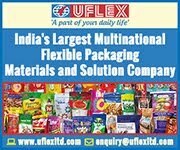 The enclosed system prevents contamination of air inside the chamber that can lead to foaming and undesired blistering of the printwork. Printing applications for which the XL5i are suitable include opaque white, gold and silver metalure, pearl lustre, blister coating, scented, high-gloss, scented or silky soft touch effects, on folding carton, self-adhesive labels or metallised papers.